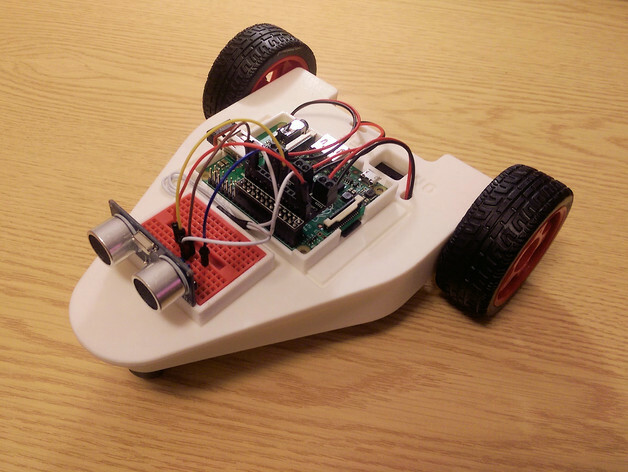 CamJam EduKit #3 is focused on robotics and contains (almost) everything you need to create your very own Raspberry Pi-powered robot. A Raspberry Pi (any version, including the Pi Zero) SD card and power supply. 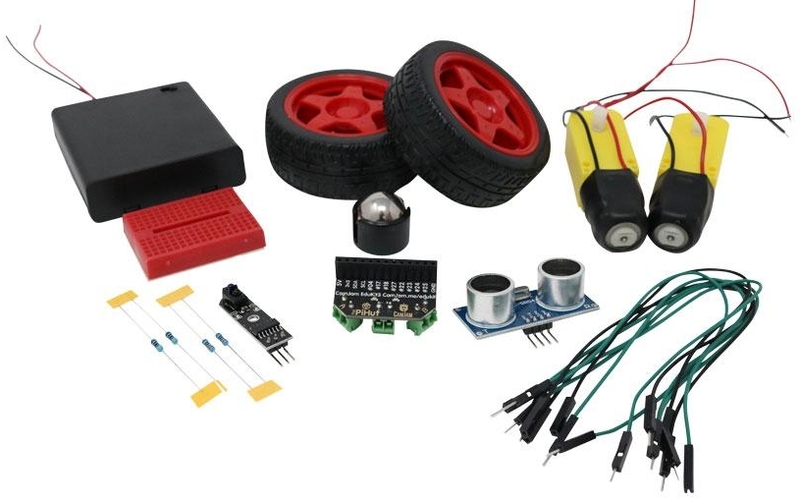 A chassis – anything will do – use your imagination! 4 x AA batteries to power the motors. 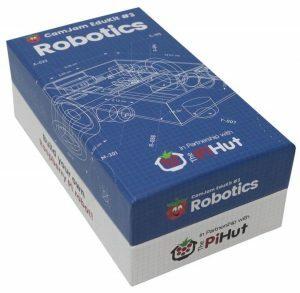 The EduKit is available from The Pi Hut for £18 (plus delivery). Instructions for using a PS3-alike controller from The Pi Hut. Controller available here. The code and worksheets for CamJam EduKit 3 can be found on GitHub. If you would like to program using Scratch, take a look at the scripts on this page. If you like to program in Java, please head over to this GitHub repository where Enrico has written a library and documentation on how to use it. For those of you with access to a 3D printer, there is a fantastic chassis available. Designed by Daniel Bull, it is a sturdy chassis and everything slots in nicely. You can view and download the open source files on Thingiverse.